Even though many people take their teeth for granted, they do a ton of hard work for our bodies. They tear, bite and chew food while withstanding constant acid and harmful plaque attacks. Because teeth are critical for everyday functions, it’s important to keep your teeth healthy so they last a lifetime. However, it’s not always an easy thing to do as there are many factors that can compromise the health of our teeth like decay, trauma or loss of supporting bone resulting from periodontal disease. If you’re struggling with unhealthy teeth, you may be wondering if you should invest in dental treatment to save those teeth or have those teeth replaced with dental implants instead. In the past, when dental implants were not available, this decision was easy. With all the dental and periodontal options available today, making the right choice is much more difficult. Root canal therapy is an effective procedure used to retain teeth that are severely decayed, or have structural issues that affect the pulp inside the teeth. This procedure involves removing the diseased or dead pulp tissue inside the tooth via a small opening made in the tooth’s surface. Then, the canals inside the tooth are cleaned and disinfected. To complete the procedure, a crown is placed on top of the tooth to restore its normal appearance and function. Instead of retreating an already compromised tooth, it is often recommended to replace that tooth with a dental implant. Factors that should be taken into consideration include the patient’s overall oral and general health and the extent of the work needed to retreat the tooth. If the tooth needs to be “disassembled” in order to retreat and save it, the cost of the required dental work may necessitate considering dental implants instead. For more information about dental implants, feel free to contact our office. If you would like to find out if dental implants are right for you, please contact our office at (302) 658-7871 or schedule an appointment with us today. Dr. Klassman is a periodontist that specializes in the prevention, diagnosis and treatment of periodontal disease the the placement of dental implants. During your appointment, Dr. Klassman will provide you with a thorough examination followed by a discussion of his findings and your potential treatment options which may include dental implants. We look forward to seeing you soon! At Delaware Periodontics, we provide a variety of periodontal services to patients living in and around Wilmington, Dover, and New Castle County. Your smile is one of the first things people notice, and we want to make sure yours is beautiful for the rest of your life. From dental implants to laser periodontal therapy, Dr. Klassman will go above and beyond to find a personalized treatment plan that is right for you. If you do opt for our high-quality dental implants, there’s a couple of of important things you need to know regarding post-operative care. Below is an overview of how you should care for your dental implants once you’ve had them placed in your mouth. When you arrive home following your surgery, place an ice pack on your face over the area for 20 minutes. The remove the pack and re-apply. Continue this cycle for three to four hours. This will help control swelling. If swelling persists for more than four days, contact our office for instructions. 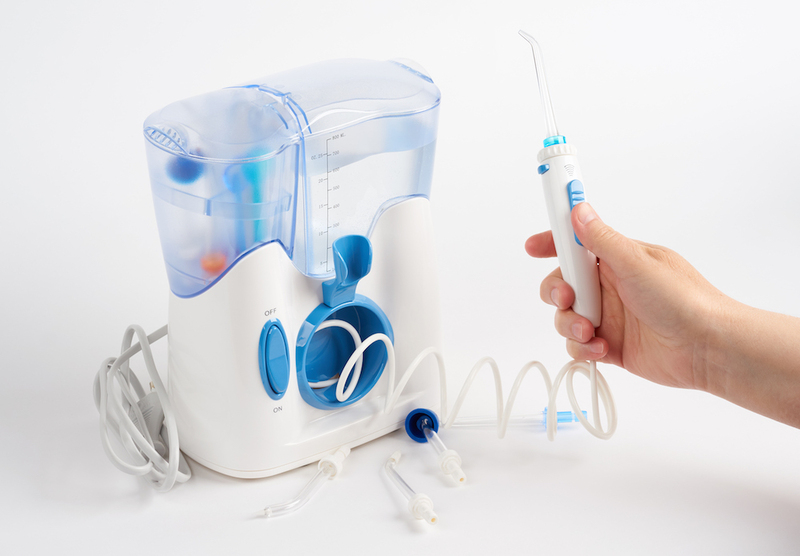 For the first few hours after surgery, do not rinse out your mouth. Slow oozing (bleeding) may occur for several hours. If the bleeding is excessive, apply gauze or a tea bag moistened in warm water on the site of the bleeding and hold it in place with continuous pressure for ½ hour and avoid spitting. Repeat if needed. If the bleeding persists, contact us. Eating should be avoided for at least two hours following your surgery. For the first day after surgery, stick to a soft food diet or fluids that require little or no chewing. Good foods to eat include soft pasta, mashed potatoes, scrambled eggs, yogurt or a milkshake. If you do need to chew, do so on the side of your mouth that was not operated on. The surgical dressing or “pack” was placed in your mouth for several reasons, with the most important being to assist in the healing process and to allow for more comfortable eating. Do not “play” with the dressing using your tongue and refrain from smoking, eating, or drinking warm fluids for at least two hours following your procedure. Just like with all surgical procedures, you can expect to feel some discomfort or pain following the placement of your Dover dental implants. However, this discomfort is typically slight and can be controlled by taking two aspirin, Tylenol or Advil tablets. The scheduled post-operative appointments we make for you are for your benefit. Therefore, it’s very important that you don’t skip these visits as they’re designed to monitor proper healing. At Delaware Periodontics, we know how important total body health in maintaining excellent oral health. Taking the steps in early 2017 to incorporate healthy habits into your daily routine will pay dividends, and prevent future visits to the periodontist. Your eating habits and food choices play an important role in keeping the gums and teeth healthy. Just like the rest of your body, your gums and teeth need specific nutrients to stay healthy. Without these essential nutrients, you’re more prone to developing common oral health problems like gingivitis and periodontitis. Here are some nutrients that are important to your periodontal health and where you can find them. Most of us can recall when we were urged by our parents to drink milk in order to keep our bones and teeth healthy. This mineral which is present in milk, cheese and yogurt does indeed help protect periodontal health by keeping the jaw bone strong and healthy. Calcium also strengthens tooth structure and enhances enamel remineralization. Calcium is present in the dairy products mentioned about and it can also be found in certain fish like salmon and sardines, leafy green vegetables, orange juice, soybeans and almonds. Vitamin C helps your bones and teeth absorb calcium and works at keeping the gum tissues healthy. A lack of Vitamin C can result in receding gums which bleed. Citrus fruits are excellent sources of Vitamin C as are leafy greens, broccoli, red & yellow bell peppers, strawberries and kiwi fruit. Folic acid which is also called folate, plays a vital role in maintaining good gum health. Good sources of folic acid are dark leafy greens, beans & legumes, citrus fruits and okra. In addition to eating a healthy diet and practicing good oral hygiene, you also should be visiting your dentist regularly for routine checkups and cleanings to keep your periodontal health in check. Dr. Klassman is a periodontist who specializes in the prevention, diagnosis and treatment of periodontal disease and in the placement of Dover, DE dental implants. If you have any questions about periodontal health or would like to schedule an appointment, please call our office at (302) 658-7871. At Delaware Periodontics, we want to do our best to educate our current, former, and prospective patients to ensure they’re always taking steps to always keep their mouth healthy. It’s important to keep up with regular appointments to your dentist, periodontist, doctor and other healthcare professionals to keep your oral and overall health as strong as possible. One of the most common issues we hear about is dry mouth, and it varies from patient to patient. Dry mouth occurs when you don’t have enough saliva to keep your mouth moist. Every so often, everyone experiences dry mouth, especially when feeling nervous or stressed. But if you have a dry mouth most the time or a chronic lack of saliva, you are at risk for developing periodontal disease which if left untreated, can lead to even more problems like tooth decay and even tooth loss. Dry mouth can even raise your risk for oral infections as you need an ample production of saliva to flush away harmful bacteria from the mouth. Certain Medications - There are hundreds of medications that can cause dry mouth including pain killers, antihistamines, decongestants, diuretics and medicines used to treat depression and hypertension. Medical Conditions - Some medical conditions and diseases can decrease the production of saliva like diabetes, Parkinson’s disease, HIV/AIDs and Sjogren’s syndrome. Radiation Therapy - When the head or neck are exposed to radiation during oncology treatment, the production of saliva can be decreased. Menopause - Many women experiencing menopause deal with dry mouth due to the changing hormones that affect the salivary glands. Tobacco Usage - Many people who smoke or chew tobacco products experience dry mouth. There are many treatments for dry mouth that run the gamut from simple everyday changes like drinking lots of water to clinical interventions like special oral rinses or saliva-producing medications. It can also be helpful to add moisture to the air using a humidifier along with breathing through your nose instead of your mouth as much as possible. If you are taking medication that has dry mouth listed as a side effect, speak to the prescribing doctor about possible alternatives. Contact Your Wilmington, DE Periodontist Today! If you are concerned about dry mouth and its effect on your gums and teeth, Dr. Klassman can help. Simply call our office at (302) 658-7871 or request an appointment online. At Delaware Periodontics, we provide a wide range of periodontal services and specialize in advanced dental implants. We proudly serve patients in and around Wilmington, Dover and New Castle, DE. We look forward to hearing from you soon! The importance of proper oral hygiene, along with a healthy diet are critical elements in oral health. At every stage of life, we’re susceptible to plaque and bacteria buildup in the mouth, which can cause inflammation and pain in the gums. Although early stage gingivitis can be treated, it’s sometimes ignored by patients, resulting in tooth decay, tooth loss, and gum disease. At Delaware Periodontics, we’re experts in providing diagnosis and treatment for these more severe oral health issues, but also take pride in offering knowledge to ensure our patients live happy and healthy lives. While a healthy diet with vitamins and nutrients certainly helps, is there anything out there that can actually cure gum disease? In this blog, we’ll address a few of those common rumors with our knowledge. There’s a couple of different ways patients can get gum disease. Sometimes, individuals are genetically or medically predisposed, giving them a greater risk of acquiring and worsening the disease. The natural aging process is also a risk factor, as elderly patients are more prone to moderate or severe gum inflammation. Finally, an overall poor diet and lifestyle puts people at risk for gum disease. For example, if you constantly consume sugary, unhealthy snacks or smoke, those habits are likely to have a negative effect on your oral health. False! Being cavity-free is completely different than being free of gingivitis or gum disease. The earliest stage of gum disease, gingivitis, is the only stage that has symptoms. It’s also the only stage that’s reversible. If your gums are tender, red or swollen, you should contact your dentist and schedule an appointment, so that they can evaluate your condition and professionally clean your teeth. 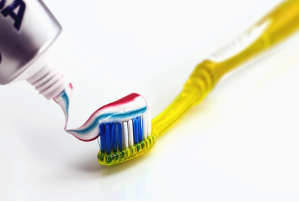 Usually, brushing and flossing twice a daily and eating a healthier diet can cure gingivitis. 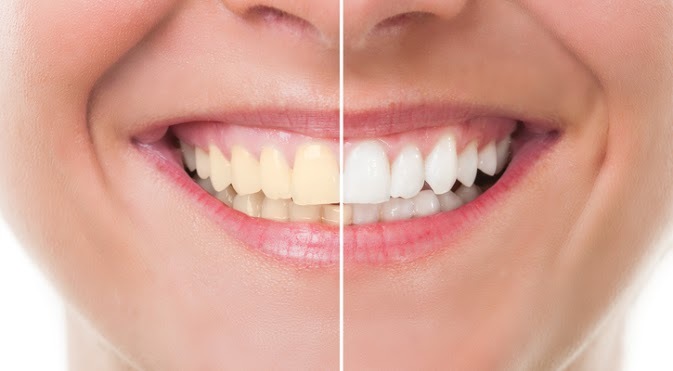 However, if gingivitis progresses into advanced gum disease, procedures such as laser periodontal therapy, pocket recording treatment, or localized gum recession treatment can be used to remove plaque and bacteria. It’s important to note that ongoing care and precautions will need to be taken, to ensure the disease doesn’t return. According to the Centers for Disease Control and Prevention, around 50% of adults age 30 and over have some form of gum disease. The risk is slightly higher for men than women. Because symptoms can vary among individuals, it’s important to keep up with regular dental appointments to ensure your mouth stays healthy. Not always! Bad breath can be caused by other health issues, medication use or dry mouth, and only a medical professional can make the proper diagnosis. Attending scheduled doctor and dental appointments can insure that bad breath is recognized and treated early. Contact Your Dover, DE Periodontist Today! We hoped you enjoyed learning more about gum disease and ways to prevent it. If you have any questions about gum disease, oral health and hygiene, or would like to schedule an appointment, contact our Wilmington office at (302) 658-7871. Dr. Klassman and his dedicated staff would be happy to assist you, and provide you with the care you deserve. We’re proud to serve patients in and around Wilmington, Dover, and New Castle County. We look forward to hearing from you soon! At Delaware Periodontics, we strive to help every patient achieve a healthy, beautiful smile no matter how severe the case, and dental implants are one of the most effective treatments we have for restoring your smile. Implants are a safe, effective way to create durable replacements for teeth or an entire dental arch, and the surgical procedure to place them is simple and minor – but effective implant treatment requires more than just the surgical procedure. Healthy gums and jawbones are critical to a successful implant surgery, which means that how you care for your mouth before the surgery is a top priority. When it comes to implant treatment, it all starts with bone. Healthy jawbone – both under the site of the missing tooth and around it – is crucial for a successful procedure. Implants make use of a special property of titanium called osseointegration, which means that the implants literally fuse the the jawbone, creating a stable base for the replacement tooth. But without sufficient bone for the implant to integrate into, the strength and stability of the implant can be compromised. That's why it's critical to have healthy jawbones before implant surgery. Healthy gums are also vital for a successful implant procedure. Receding gums may make teeth look longer and may prevent implants from looking like a natural part of the smile, and having naturally thin gums reduces the margin for error during implant surgery. If periodontal disease is present before surgery, the look and health of the gums and implant may be compromised as well. Thankfully, there are steps we can take to minimize these problems and ensure a successful procedure. Any instance of gum disease will need to be brought under control and the gums will need to be given time to heal before the surgery. If the gums are too thin or have receded too far, we can use a grafting procedure to restore them, and we can use the same type of grafting procedure to rebuild bone before implant surgery. As always, though, the best thing you can do to ensure an effective surgery is to maintain a diligent, thorough oral hygiene regimen. This will help prevent decay and gum disease, keeping your mouth as healthy as possible and setting the stage for a successful surgery. At Delaware Periodontics, we've helped countless patients achieve a renewed smile with implant dentistry. Our doctors are experts in the field of periodontics, and we work hard to create a personalized treatment plan for each patient we treat. If you're interested in restoring your smile with implant dentistry or you'd like to find out more about the services we offer, we encourage you to call us at (302) 658-7871 with any questions or request an appointment online at our Wilmington, DE office. We look forward to seeing you soon!